A northern isle will suffer a “slow and painful death” if serious discussions are not had about building a tunnel or fixed link to replace the ferry service, a councillor has said. Responding to a commissioned report published by consultants Peter Brett Associates, into a fixed link between mainland Shetland and the Isle of Whalsay, Councillor Duncan Simpson said the Scottish Government needed to think again when it comes to funding ferries but not fixed links for islands. 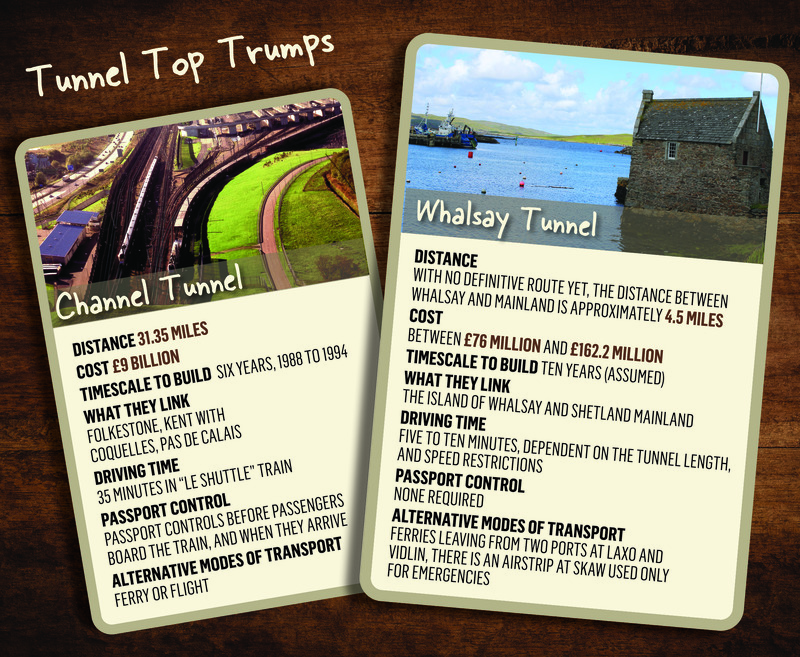 Basing its calculations on figures provided in 2016, the report claims a tunnel to Whalsay would cost around £143 million – £52 million more expensive than keeping ferries running, replacing the Linga and Hendra vessels twice over the next 30 years, and carrying out harbour works. 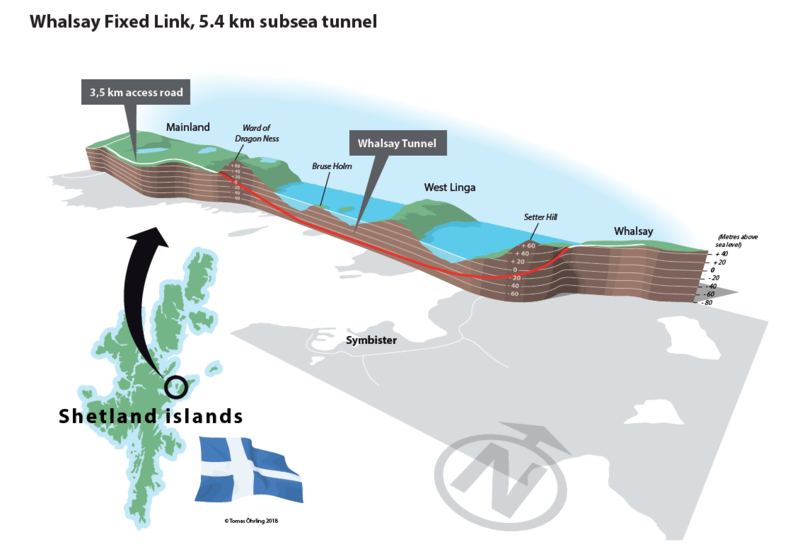 Islanders say a £76 million quote from a Norwegian tunnel expert had been dismissed without due consideration. Consultants said they understood this was a preliminary quote with no detail on the extent of work. The report, commissioned by the isles’ transport partnership ZetTrans, ruled that it is “not feasible” that Shetland Islands Council or ZetTrans could fund a project of this scale in the foreseeable future, “nor do they have the technical and procurement expertise to buy and deliver the project”. The Whalsay Fixed Link Paper is part of a wider strategic transport consultation on inter-island transport in Shetland. A suggestion, made in the report, to build a new ferry terminal at Bonydale on the far east of the Shetland mainland – cutting the ferry journey to Whalsay from half an hour to around ten minutes – is understood to have been a popular option for locals responding to a council consultation. Councillor Simpson said:”My main concern about the whole thing, however, is they seem to be classing fixed links as unaffordable but ferries as affordable. “The Scottish Government’s failure to provide funding for our current ferries has been well publicised and now ferry cuts are being openly discussed. Without this problem being solved no option is affordable. A Transport Scotland spokesman said: “Work is now underway to review the National Transport Strategy (NTS) to establish the strategic direction for the network in Scotland over the next 20 years and important issue of connectivity for our islands and remote communities is being considered as part of this. “Once completed, the NTS will inform the second Strategic Transport Projects Review (STPR2) in identifying the transport interventions required to provide Scotland with a transport network fit for the 21st Century. The fifth largest Shetland island, Whalsay lies on the eastern side of mainland and among its 1,000-strong population boasted more than 20 at last count. Often referred to as millionaire’s island for the high number of skippers, owners and operators of fishing vessels in some of the most fish-rich seas in the world. Shetland produces more fish than England, Wales and Northern Ireland’s combined. Seafood contributes more than a third to the £1.23 billion annual economy for the islands. 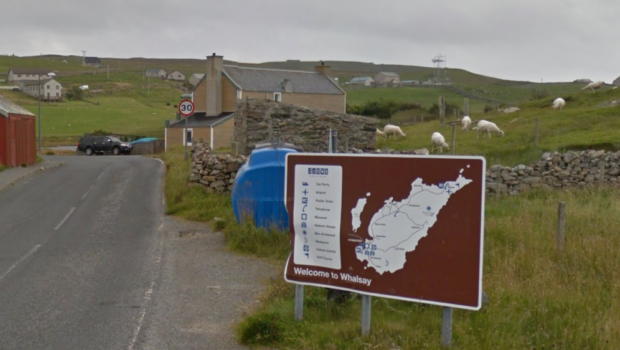 It is believed the island economy had a bearing on the European referendum when 81% of voters on Whalsay and nearby Unst supported leaving the EU, one of the highest percentages in the UK. The main settlement on Whalsay is Symbister, where the fishing fleet is based. The island is built on peat and is fertile. For an island covering 7.6 square miles, it is fairly densely populated, with crofting taking second place to fishing as the main local industries. The settlement of Skaw is home to the most northerly 18-hole golf course in the UK. It hosts a club house and an annual tournament..
Other sporting activities include Whalsay Leisure Centre, a snooker club and Harbison Park artificial sports field. Whalsay has an amateur football club, as well as hockey and netball teams. These teams participate in Shetland leagues. The annual Whalsay Regatta usually takes place in the last week of July. Attractions on the island include the Neolithic ruin of Benie Hoose, and the settlement of Sudheim, or Sodhum, where poet Hugh MacDiarmid – real name Christopher Grieve – lived for nine years in a croft house. It is said he wrote some of his best work when he lived on the island in the 1930s and early 1940s. When he was called up to go to war, he never returned to the islands. Grieve House is now one of Shetland Amenity Trust’s Böds which offers self-catering accommodation in a traditional building. Whalsay is the main location of Ann Cleeves’s 2009 novel Red Bones featuring police inspector Jimmy Perez , in the third of her Shetland quartet. In 2012, a number of Whalsay fishermen were fined for a ‘cynical and sophisticated’ fishing scam involving the landing of tens of millions of pounds of illegally caught fish.